Jewelry. How to choose a chain? 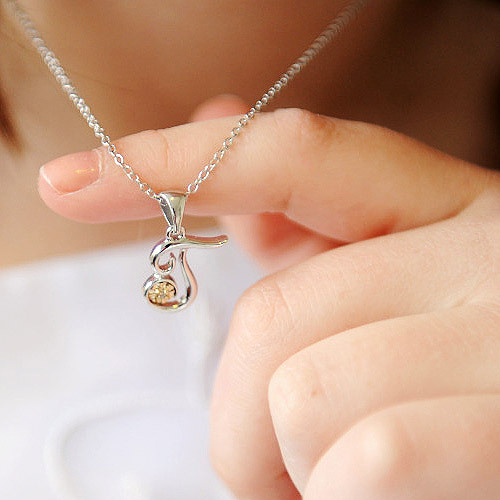 The chain is one of the most popular jewelry, highlighting the dignity of the owner. She looks equally good as on women, drawing attention to the beauty of the curves and strong masculine necks. The range of combinations is great. You can pick up on the most capricious taste. But you should pay attention to when planning to buy such jewelry? First, determine the functionality of the chain. If this addition to the suspension or, say, the cross, it is better to choose a product discreet, plain weaving, so it is not competing for attention. If this self-decoration, then we can look at more complex types of decorative weaving. Product length is usually selected based on the age of the owner. The young lady will look good short thin chain, highlighting the dignity and grace of a young neck. Ladies of more advanced age would be appropriate long massive decoration options, focuses on the décolleté. If the chain is matched to the pendant or cross, you should pay attention to how the products match each other in color, size and style in General. Chain only completes a look and is not the center of attention. Also must match, and metals from which jewelry is made. Buying a product as a baby gift, you should opt for a simple weave. Such chains are easier to restore in case of careless handling. It is useful to ask the seller for the jewelry show certificate or documents for the product. Safer just to apply to large chain stores, to avoid buying low quality copy with no warranties. It is recommended as necessary to surrender jewelry chain in salons, checking and cleaning with special solutions. This will help to preserve the original appearance and to prevent the possibility of a sudden deterioration of the product. In the end I want to mention that select chain, like any jewelry, it should be based on their inner feelings and emotions that cause thing. Examples of several suitable options you can understand which one is worthy of special attention.